This product may only be downloaded from the manufacturer's website. You'll receive an email with the license code to complete your order. Orders placed on weekends or holidays are processed the next business day. 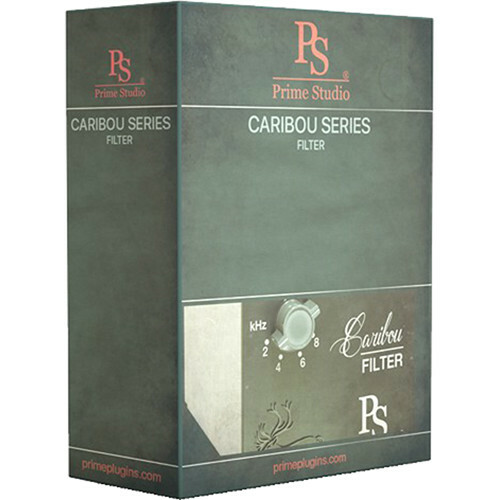 The electronic download of the Caribou Series Filter Plug-In Software from Prime Studio is a high-pass and low-pass filter tool based on a rare vintage module. It can be used when paired with a Mac or Windows computer and compatible host software, to tailor sound for broadcast TV and recording studio applications. In addition to the filter function, you can also use the modeled preamp harmonics as sound coloring to shape the sound of your tracks.